2 Bdrm House w. 2 Studio Apartments at a rockin' price! 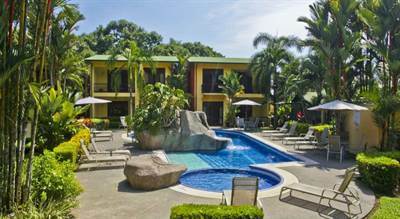 Special opportunity for an incredible property priced to sell as soon as possible in the beautiful beach town of Esterillos Oeste, Costa Rica. This is as 2 bedroom /2 bath home with a detached 2 storey building in the back of the lot that has two spacious studio apartments (each with it’s own bathroom). You can rent any of these spaces out or keep them for other family members. This property is within a gated community with a large swimming pool common area and you can WALK TO THE BEACH in about five minutes. Low Home Owner Association fee of only $100 per month covers 24 hour security and common area maintenance, making this a wonderful opportunity to own in Paradise, without the headaches! ALSO, there are two adjoining lots also for sale right next to this house. The lots are 230 square meters (2474 square feet) and are priced at $30,000 each. The area of Esterillos Oeste is about a 15 minute drive south of the beach city of Jaco. But this beach is much more pristine and quiet, there are a few restaurants and bars in Esterillos Oeste that you can walk to from this development. The beach itself is a dream! Soft sand, jungle covered hills meet coconut palm groves on the shoreline. Great outdoor activities include surfing, fishing, beach combing, swimming, tide pools, horseback riding etc. Call or write me TODAY before this one is SOLD! Wonderful option that WILL NOT LAST. 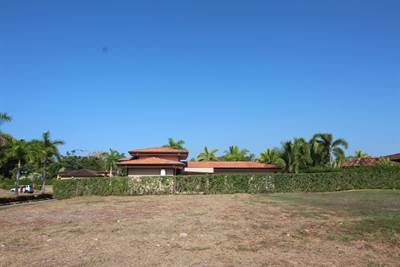 This home is in a gated community about a five minute walk to the beach at Esterillos Oeste. There is 24 hour security, swimming pools and common areas as well as walking distance to restaurants and bars in town. This unit has two bedrooms and one bathroom full bathroom, small backyard and is located in a private and quiet section of the community. 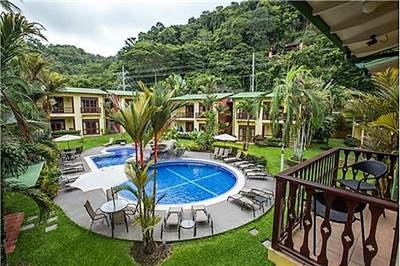 Excellent option for a downsized version of your Costa Rica dreamhome without the headaches of a big property outside a gated community. 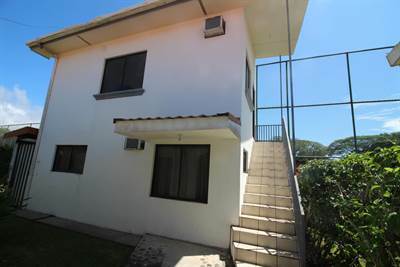 This unit can be rented out at will and Home Owner Association fees are only $100 USD per month! The beach at Esterillos Oeste is beautiful, with surfing, fishing, beachcombing, soft sand, tide pools and jungle covered hills. Call me or write to discuss. 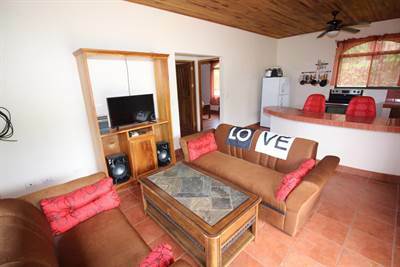 in Jaco, Jaco Announcing a price drop on ENCHANTING BEACHFRONT Luxury 3 bdrm Condo, Unobstructed Ocean Views, a 1635 sqft , 2 bath , 3 bdrm single story. Now FOR SALE USD359,000 . Ocean Front, Unobstructed Views, MOTIVATED! 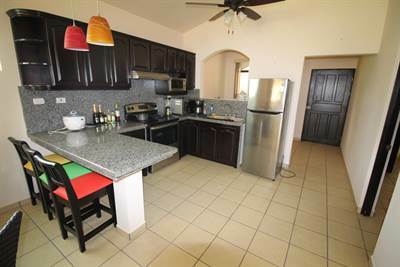 Esterillos Oeste 3 BDRM $125,000 beach home, short walk to amazing beach! Gated and secure, furnished. in Esterillos, Esterillos Oeste is Sold! 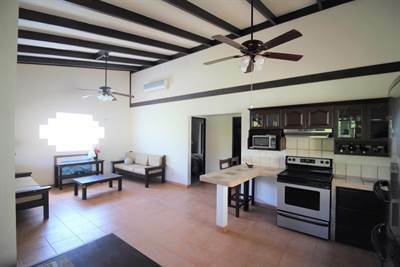 in Esterillos, Esterillos Oeste The single story at Esterillos Oeste 3 BDRM $125,000 beach home, short walk to amazing beach! Gated and secure, furnished. has been sold. Posted on October 27, 2018 Author Jaco Area PropertiesLeave a comment on Esterillos Oeste 3 BDRM $125,000 beach home, short walk to amazing beach! Gated and secure, furnished. in Esterillos, Esterillos Oeste is Sold! Hermosa Affordable Beach House, Gated and Secure, ROCK SOLID CONSTRUCTION in Jaco, Playa Hermosa is Sold! in Jaco, Playa Hermosa The single story at Hermosa Affordable Beach House, Gated and Secure, ROCK SOLID CONSTRUCTION has been sold. Posted on October 27, 2018 Author Jaco Area PropertiesLeave a comment on Hermosa Affordable Beach House, Gated and Secure, ROCK SOLID CONSTRUCTION in Jaco, Playa Hermosa is Sold! Build your Dream Home, flat lot, gated community in Esterillos , Esterillos is Sold! in Esterillos , Esterillos The single story at Build your Dream Home, flat lot, gated community has been sold. Posted on October 22, 2018 Author Jaco Area PropertiesLeave a comment on Build your Dream Home, flat lot, gated community in Esterillos , Esterillos is Sold! • 1200 sqft , 2 bath , 2 bdrm single story – FOR SALE USD145,000 . Killer Deal! Amazing Price as Owner is Super Motivated! Financing Available. This beautiful unit is just a short stroll to South beach Jaco in a smaller boutique-style development of condos in a enchanting setting of flora and fauna and with an amazing pool area. This condo is sold fully furnished, turnkey, and in pristine condition, as the owners have taken meticulous care of the unit. There are 2 spacious bedrooms, including a master en suite bathroom in the master, as well as full second bathroom and utility room (great for storage). Easy access to everything in Jaco, yet quiet and private. This is a ground floor unit with large patio, open your gate to the lush grass leading to the pool. There is on-site management, full time security, gardener, maintenance. Renters love this location as well if you’d like to rent out your unit to defray any expenses. Rock solid steel reinforced concrete block construction as well as native hard -wood doors and finishes add to the “Costa Rican” feel of this beautiful complex. Call me today for more information. 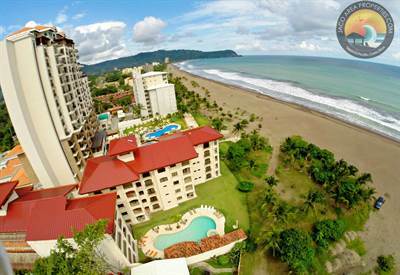 SG 2BDRM Jaco Condo BEST DEAL, walk to beach in Jaco, Jacó is Sold! in Jaco, Jacó The single story at SG 2BDRM Jaco Condo BEST DEAL, walk to beach has been sold. Posted on October 1, 2018 Author Jaco Area PropertiesLeave a comment on SG 2BDRM Jaco Condo BEST DEAL, walk to beach in Jaco, Jacó is Sold!